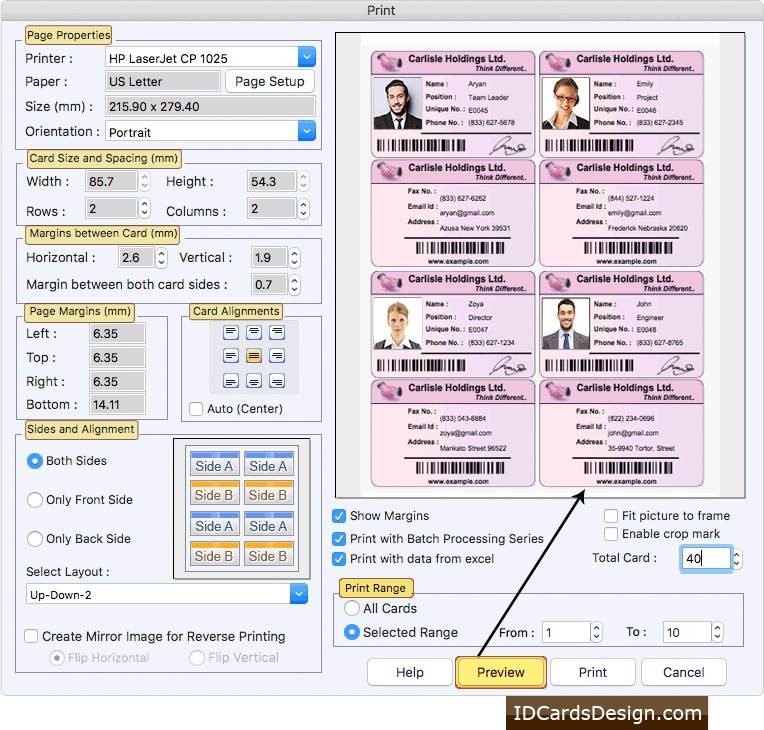 Software provides five modules to create id cards. Select any one mode as we have selected 'Start by using Wizard' mode. 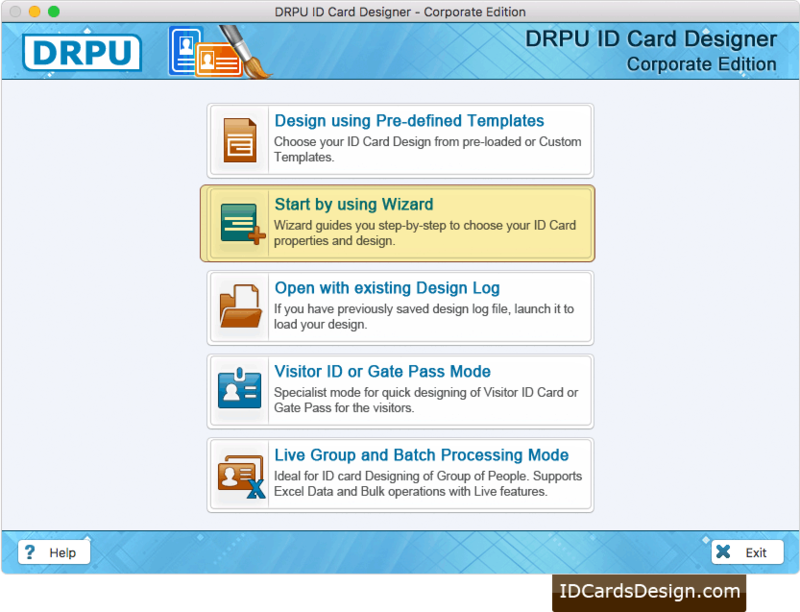 Set Card Background with color, image and card border. Then proceed to Fill User Profile button. 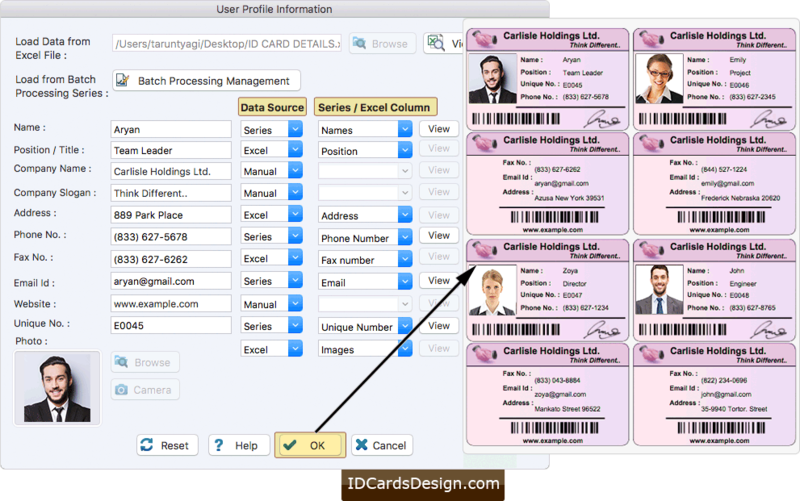 Load ID card details using Batch Processing series to fill user information on your ID Card. 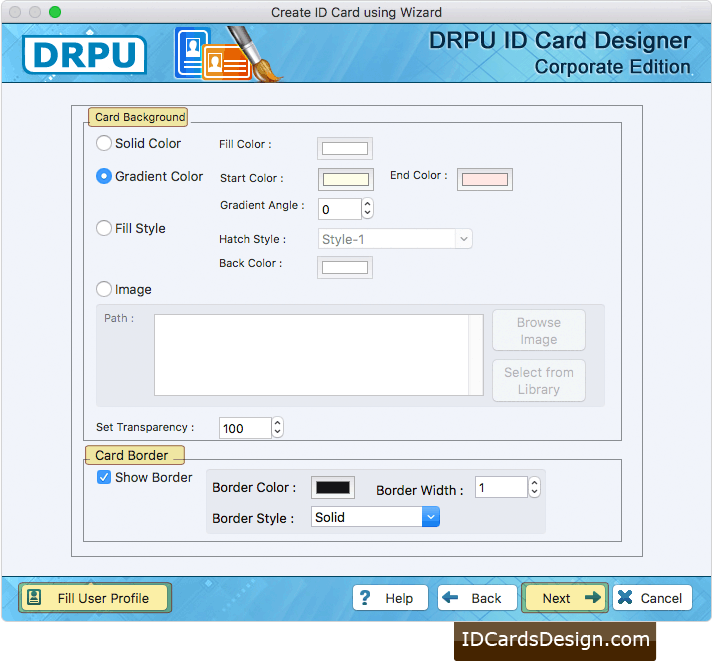 If you want to make any further changes in your ID card, You can use card Properties option. 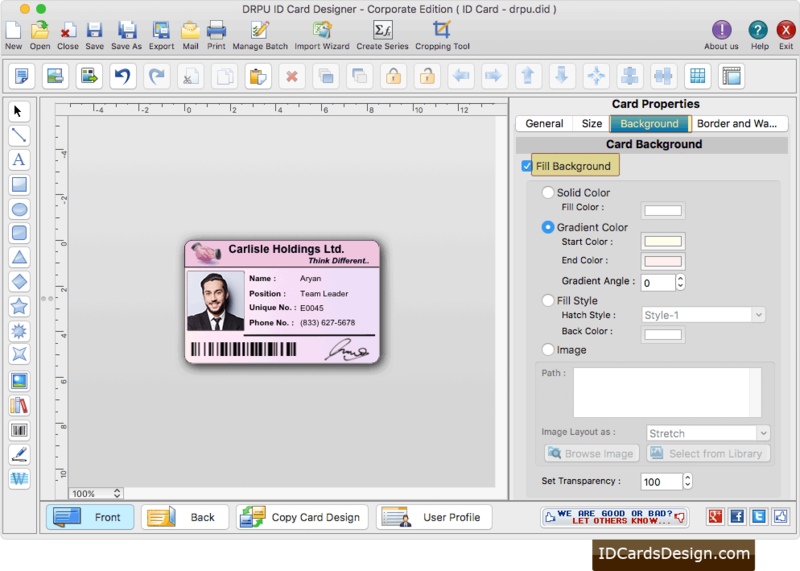 To print your designed id cards go to Print option from toolbar. Set print settings and Click on Print button. You can also see the preview before printing your id cards.